Tenants, Rent a space, Day access. Get in touch, Find us. The course fees must be paid in full on enrolment and are non-refundable. Notwithstanding section 1, the course fees may be refundable in the event that a course is cancelled or oversubscribed. We may cancel a course in the event that there is an insufficient number of students subscribed to the course. It is the responsibility of the student to attend each class in the course and no refund, or provision of any additional classes, is available for non-attendance of all or part of the course. The Intermediate Two – Continuing Jewellery Making Course is perfect for students with who want to take their making to the next level. This course is designed to allow students to progress their skill through the different stages of jewellery making, as the tutor assists with design development, technical issues and problem-solving. The pre-requisite for this course is our Beginners course and our Intermediate 1 course (or equivalent studies). Please don’t hesitate to get in touch if you wish to discuss your experience and get help in finding our most suitable class for you. For those with confidence in the basics. Find Dates and Book a Spot! It's official I'm an addict! This has been my 6th term being taught by the knowledgeable and talented Erin, Wednesday nights have been nothing but jewellery! I started as a complete beginner with no experience but am now confident to use the studio equipment to design and make while still learning more and more each week! The Intermediate Two – Continuing Jewellery Making Course is a class of students at various stages of their jewellery making journey. To join this class students will have completed our Beginners and Intermediate 1 courses (or equivalent) as pre-requisite. The aim of this course is to provide students with the confidence and skills to work on individual projects while gaining a greater depth of understanding of the wide world of jewellery making and design, whilst building their skills through their week to week jewellery making practice. Presentation of jewellery techniques and processes in our Intermediate Two – Continuing class differs term by term with a focus on skills-based learning informed by the background experience of participants in the class. Students will be introduced to equipment like the hydraulic press and will explore making hollow forms such as spheres and more complex shapes, alongside continuing to gain confidence in soldering. Many of our students produce outstanding work and continue to specialised workshops such as Wax Carving for Jewels or Chasing and Repousse. To ensure that students have the best learning experience, our Advanced Jewellery Making Course class size is capped at 10 students. • All the consumables you need to make your projects (ie saw blades, emery paper and drill bits) as well as all the hand tools and equipment you need. We take safety very seriously at SquarePeg. All students must wear proper enclosed shoes (no sandals or thongs), long pants or skirts and have long hair tied back. We provide safety equipment and training on how to use all relevant equipment. Why choose a jewellery making course at SquarePeg Studios? Our courses are taught by highly experienced and passionate teachers who are practising contemporary jewellers. This is the closest to an accredited course – without the assignments, stress and cost – that Sydney has to offer. Students not only gain the satisfaction of designing and hand-making their own piece of jewellery they also have the opportunity to get a behind the scenes look at a contemporary professional jewellery studio while learning great new skills in jewellery techniques and design. 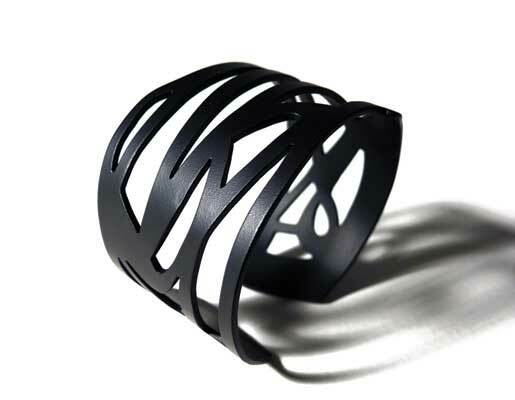 Contemporary jeweller Erin Keys creates graphic works based on ideas in mark making, using traditional jewellery making techniques and laser cutting technology. Her practice involves developing work for exhibition, production and sale. Living in Bosnia Herzegovina 2006-2008, Erin taught creative workshops to Romani children before joining the JamFactory’s Metal Design Studio. 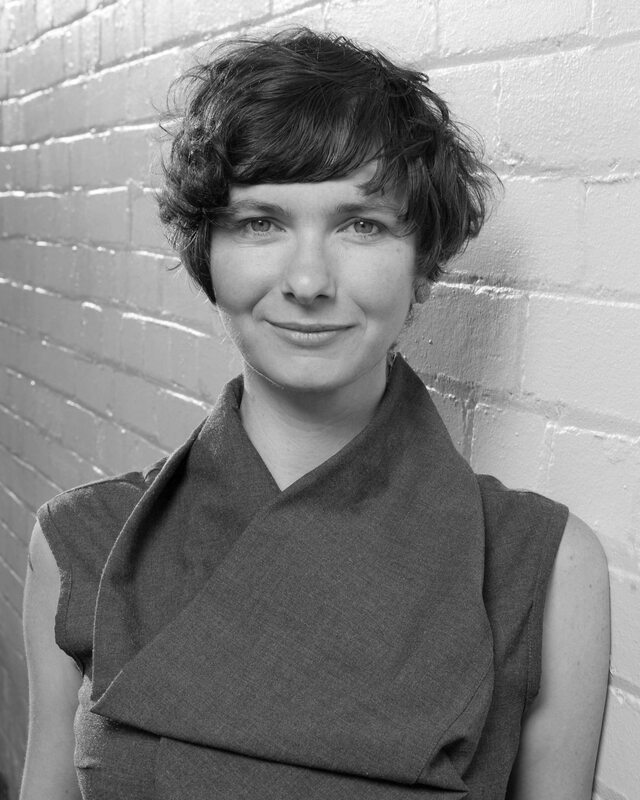 After completing the 2 year tenure Erin spent 10 months at Australia's iconic Gray Street Workshop; an invaluable residency in her career and personal development. Moving to Sydney in 2010 she joined SquarePeg Studios, a workshop for emerging and established jewellers to work together in a creative and supportive environment, where she is an active tenant, mentor and teacher. As a Design Developer at Dinosaur Designs, a manufacturer of homewares and jewellery, Erin worked in a small team developing and prototyping designs. Erin is a great teacher. She allows you the flexibility to work independently on your own projects whilst providing valuable advice when needed. Need more info? We're happy to hear from you. We would love to hear from you and answer any questions you may have. Fill out the form below or call us today. We we'll be in touch soon. In the meantime, check out our social media.